Wondering what to get the whovian who has everything? You are in luck then, because two brand new Doctor Who themed bags are available for pre-order and will be in stock later this Autumn. It might be a good time to get a head start on that holiday shopping. The Who Shop has recently revealed their new Thirteen’s TARDIS Satchel Bag which is currently available for pre-order online. These subtle yet stylish bags are produced in a limited quantity and will be in stock this October exclusively at The Who Shop. This bag is priced at an affordable £69.99. Designed with a classic, understated style, whilst still retaining the iconic and recognisable iconography of the TARDIS, as well as the multi-coloured lines featured on the 13th Doctor’s costume. 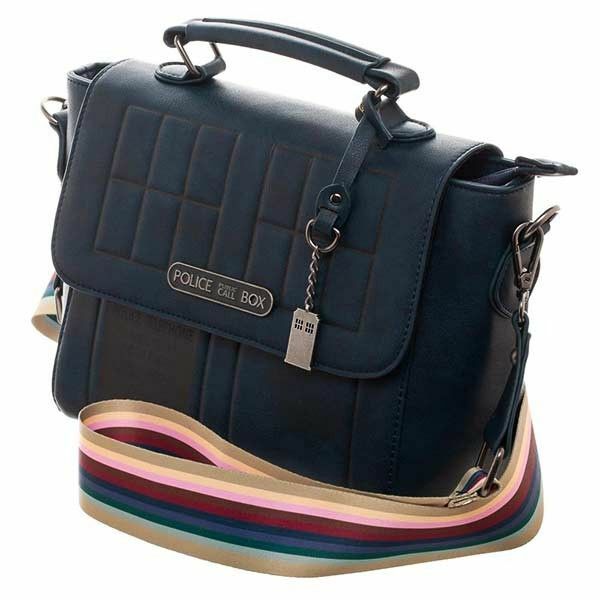 • Sturdy multi-coloured shoulder strap, inspired by The Doctor’s new costume. Additionally, the BBC Shop has a new Doctor Who themed bag available for pre-order with a far more animated design. 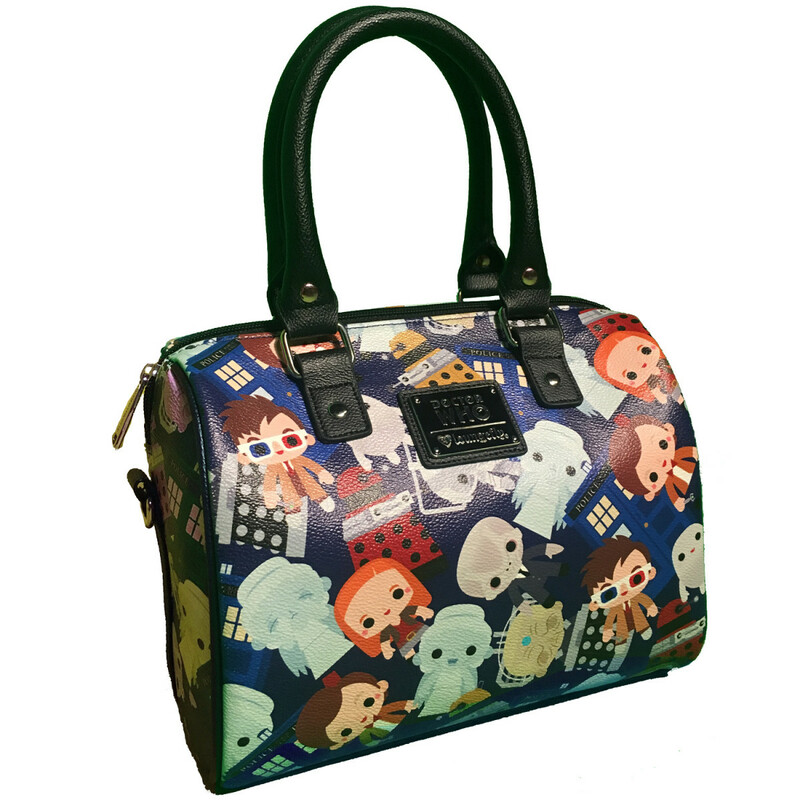 The bag features various Doctor Who characters and is expected to be in stock by the first of September. This product is made of vegan leather and is priced at $64.98. Grow a Gallifreyan second heart with one glance at Loungefly’s charming “chibi” Doctor Who accessories. Roughly speaking, “chibi” is a Japanese art style showing adorably short, stubby characters. Yet, no translation is necessary to understand the heartwarming impact of these wide-eyed, smiling renderings of classic Whocharacters. Admire many favorites on this purse, from the beloved Tenth Doctor and Amy Pond to dangerously darling Daleks and Cybermen.